Some 9,000 hydrangea are in bloom in Ajisai-en, a private garden park in Motobu that is the handiwork of now 97-year-old Uto Yohena. 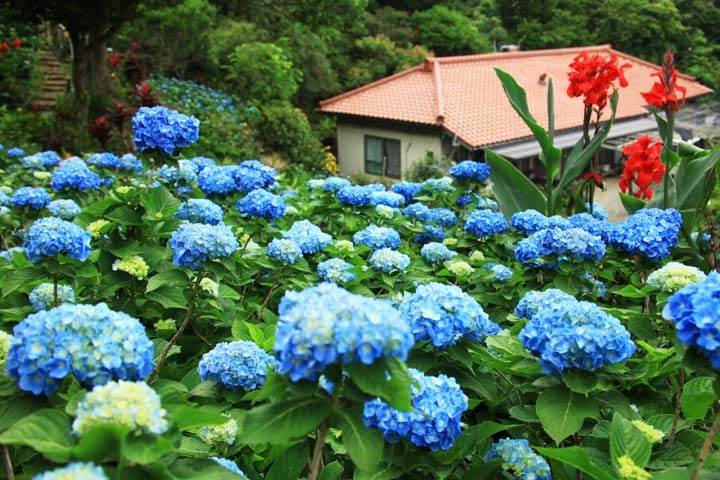 There are more than 9,000 hydrangea blooming at Ajisai-en, and most are the handiwork of an elderly Okinawan woman who’s been tending the gardens for nearly four decades. Motobu has many gardens, but none is more beautiful than Ajisai-en, when its thousands of hydrangea are in full bloom. 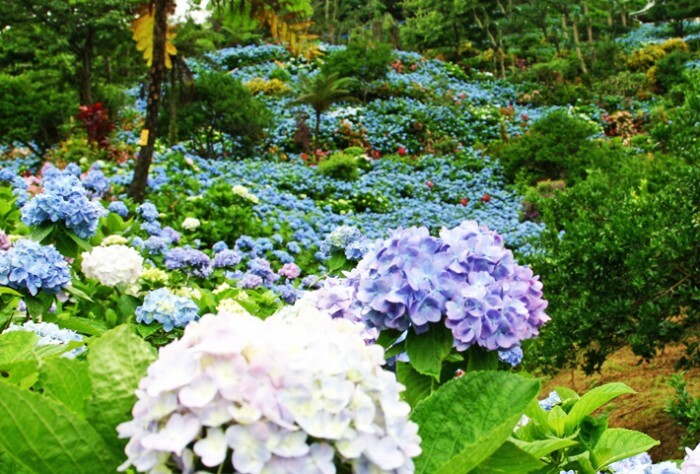 The garden in Izumi, Motobu Town now boasts more than 9,000 of the colorful purple flowers, with three dozen species or varieties of hydrangea in the Ajisai-en. Many are little more than three-meters-high. 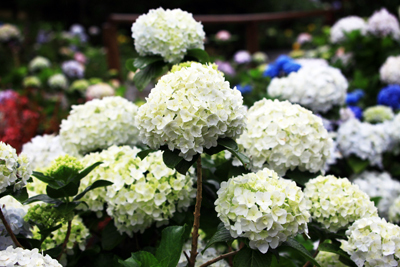 Ajisai-en is a member of the nationwide Hydrangea Flower Association, and has won the sixth best award from the West District Japan Hydrangea Garden Contest a few years ago. Parking is available by the gate. 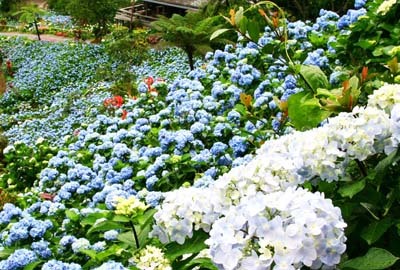 To get to Ajisai-en drive north past central Nago on Highway 58, then turn left towards Motobu and Ocean Expo Park onto Route 84. Continue until you see a Jomo gasoline stand on the right and a police box on the left. Turn immediately left and Ajisai-end is about 200 meters away.